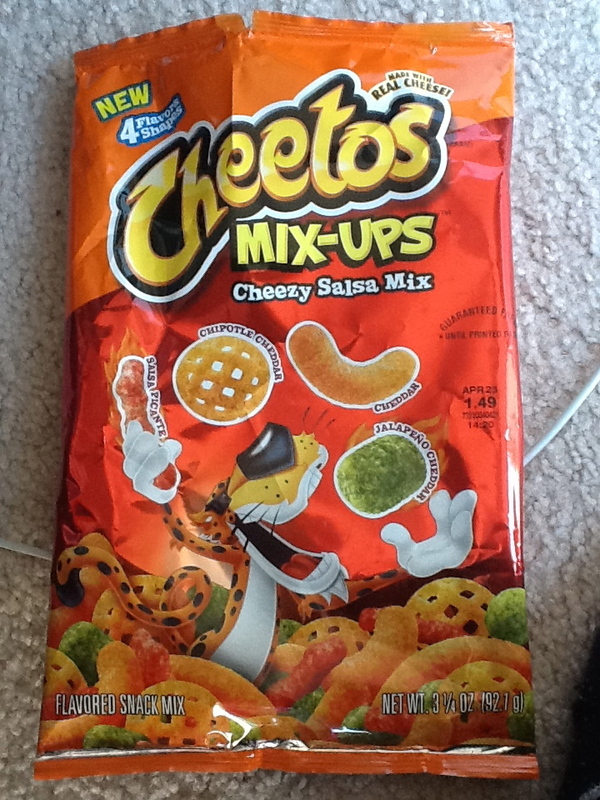 I fully support and approve this new delicious surprise from Cheetos. I look forward to trying their Super Cheezy Mix as well. Good luck finding them though. It took me going to a Downer’s Grove suburb to find them at the Jewel there. I haven’t seen them anywhere in Chicago. *Update* Just found them at a local CVS, so they do exist within the city proper. This entry was posted in cheese, impulse buy, junk food and tagged cheetos, cheezy salsa mix, Food. Bookmark the permalink.